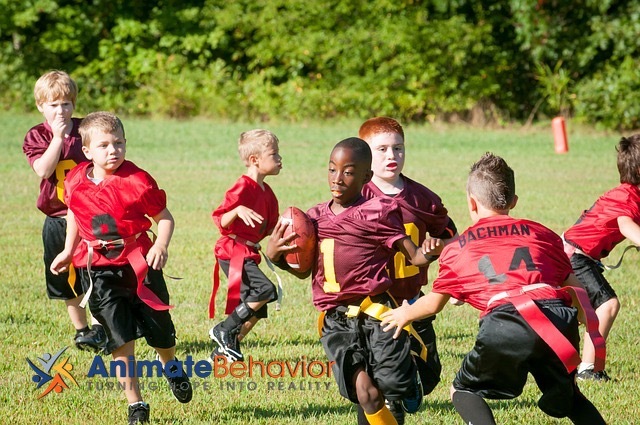 The old saying goes, “nobody likes a sore loser.” Dealing with losing is a social skill that your child with autism may find more challenging than their neurotypically-developing peers. There is a variety of reasons why this is so including, difficulty regulating emotions, or a deficit in perceiving other’s social cues. Dealing with losing is an important skill that can be taught. The mastery of this skill can promote deeper, longer-lasting, meaningful relationships between your child and her or his peers. Here are seven tips that can help your child acquire this skill. Give praise when appropriate: It could be expected that your child does well on some aspects of this skill and not so well on others. To avoid encouraging problem behavior, be very specific about what you are praising. For example, you could say, “Great job smiling and saying congratulations! That makes me want to play with you! When praising, be enthusiastic and animated. Check out our blog post about praise for more tips! Create positive consequences for your child: When your child deals with losing well, in addition to praise, provide her or him with a reward. The reward should be delivered immediately and be something they like. Some examples are favorite activities, food or attention. For example, perhaps your child likes to play video games or watch television. You could give her 10-minutes to watch her favorite cartoon. The harder it is for your child to deal with losing the greater the reward should be. These are a few examples of steps that you could take to help your child with autism deal with losing. Social behaviors and responses vary greatly from child to child. If you have any questions, click here now to reach our staff of clinical experts who can help you with you, and your child’s, evolving needs.